Do I have to do your research for you? I simply posted that the two guys were in LA last Sunday, and knew nothing more. The two photos on Twitter gave the impression to me that they were just visiting. 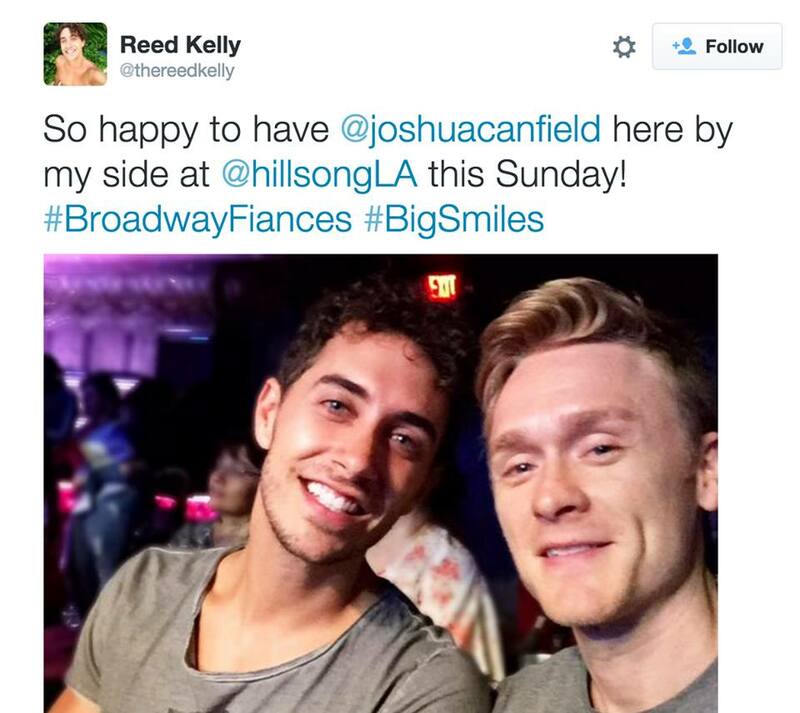 I have now looked back through their Twitter feeds and they show that Reed Kelly is currently living in Pasadena in California as he is appearing in a stage musical. 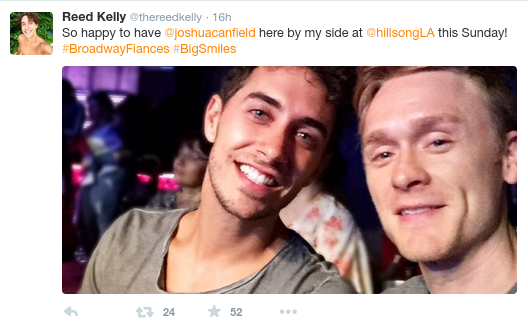 Josh Canfield is still living in NYC and was visiting Kelly on the weekend. That means that they have not been moved by Hillsong from NYC to LA to ‘hide’ as you hilariously stated, and they’re not both living in LA. It’s becoming apparent they’re “hiding” a lot of information from Hillsong themselves, Newtaste. Information that certainly wouldn’t want to be seen by those who baptised Reed Kelly.